15 girls. 4 days. A lifetime of change. 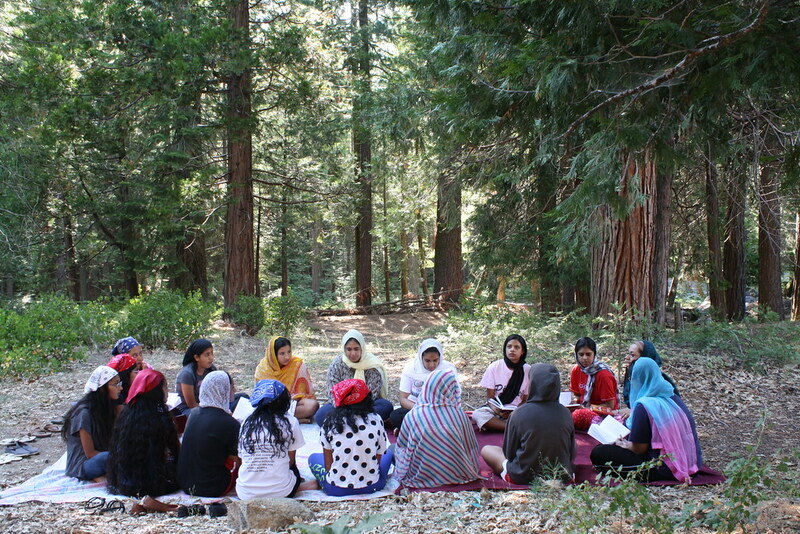 On July 19, 2012, five Sikh women established the first ever leadership retreat for 11-17 year-old Sikh girls in Central California. Bhujangan, founded by the Jakara Movement earlier this year, was intiated with the enthusiasm and openness of 15 young Kaurs and their 9 sevadaars. The four-day and three-night retreat was filled with activities designed to enhance the girls’ understanding of Sikhi and our history, promote the building of confidence and friendships, and facilitate leadership development and an understanding of how a Kaur can identify and access opportunities for empowerment. Day 1 of 4 began on Thursday in the mountains near Shaver Lake (an hour outside of Fresno, CA). 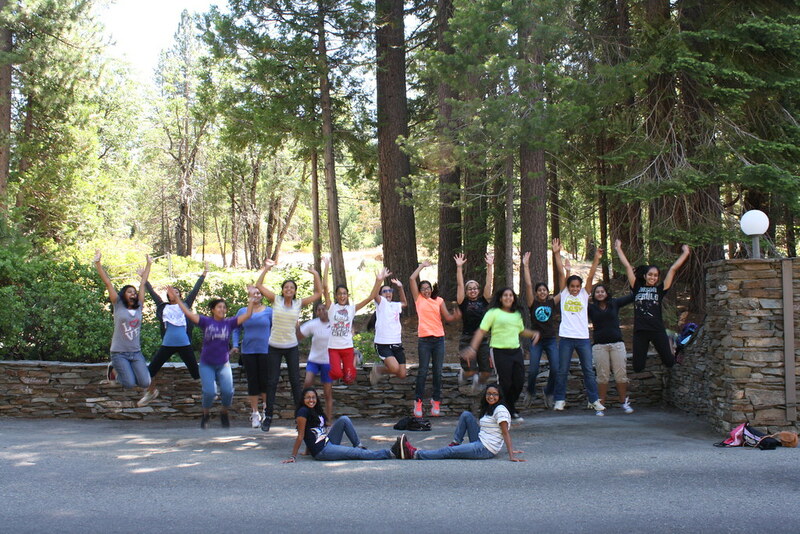 Girls arrived at the retreat site and were warmly welcomed by the volunteers and staff. The first day consisted of introductions, setting the tone for the retreat, learning the meanings of our names, rules & responsibilities, ice breakers, rehraas, and Sikh history. There were many contributions from women, through leadership, revolution, and even martyrdom, that most of us had never heard of. Over the next few days we learned about the social construction of gender, physical health, well-being, educational resources, gurbani and much more! We also had a spectacular time going horseback riding and going to the lake to kayak, jump on a water trampoline, paddle boat and play volleyball. The first ever Bhujangan was filled with many “firsts” for all of us—for some it was the first time we learned about the meaning behind our names, for others it was the first time we recited Rehraas and Japji Sahib, and for many, it was the first time we learned about our history and the tremendous contributions of Kaurs. The theme shabad, Man tu jot saroop hain, apna mool pachan (Oh my mind you are the embodiment of divine light, recognize your truth/value, Pauree 5, Ang 440), resonated throughout the weekend. The weekend’s activities and workshops encouraged participants and volunteers alike to recognize the light within each of us. One participant stated "...all of the discussions we had together were so motivational. They made me feel so much better about myself. It made me happy to know that I wasn't different..." (Amandeep Kaur, Selma, CA). As participants bonded, volunteers were often in conversations remembering their own youth and what impact a retreat such as this would have had on their own life. Organizers commented that it was an honor for them to be a part of creating a space for young women, young Kaurs that focused solely on the experiences, lives, journeys, beliefs, well being, growth, relationships and empowerment of the Kaurs themselves. For the organizers it was a chance to create a space that wasn't always, or at all, available to them growing up themselves; it was an honor to be able to go back to the inspiration we gained from our foremothers, like Mai Bhago, and seed inspiration for the future of our communities. These are the Kaurs of tomorrow....we look forward to being inspired by them. All in all it was a phenomenal weekend that consisted of connecting, discovering and inspiring. It was with Guru’s grace that Bhujangan 2012 was successful!